With the Society of the Query conference – Stop Searching, Start Questioning – the Institute of Network Cultures aims to critically reflect on the information society and the dominant role of the search engine in our culture.What does this high dependency on search engines to manage the complex system of knowledge on the Internet mean? What alternatives exist? What is the future of interface design? How do we deal with centralization on the Web and how does this relate to many social media platforms increasingly becoming more syndicated, divorcing content form structure? Search is the way we now live. At present, the reality of the information society is one in which we are increasingly confined to the use of information retrieval tools to create order and value in the vast amount of online data. Search has largely taken over from (directory-based) browsing and surfing as the dominant activity on the Web.With the search engine having become our main point of reference on theWeb, its emphasis on efficiency and service tends to cloud the nature of both the underlying technology as the ideologies embedded in its search logic. As the idea of a Semantic Web unfolds, the human versus artificial intelligence controversy is regarded with renewed urgency.The increasingly centralized computing grid invites critical questions about power distribution, governance, and diversity and accessibility of Web content, while on the other hand promising alternatives to the dominant paradigm arise in P2P and open source initiatives. With large investments in media literacy, what role might politics and education play in establishing an informed and technologically literate user base? How does the idea of machine understanding influence the fields of knowledge organization and information retrieval? How is the legal framework surrounding search engines changing shape? Is Google’s increased ubiquity affecting the production and dissemination of art and cultural practice? What influence does the existing hegemony of a few large search engines exert on the traditional flow of knowledge and the diversity and accessibility of web content, and in what way might regulation be possible? Considering developments in the fields of art and information architecture, how can we get to more sophisticated ways of interface design and the presentation of search results? What alternative ways of search are visible on the software level, the network level and the user level that challenge the engine as the major search paradigm? 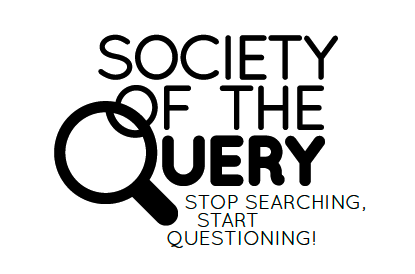 Read the full report about Society of the Query #1 here.